Click on the small face below for more pictures of my face. 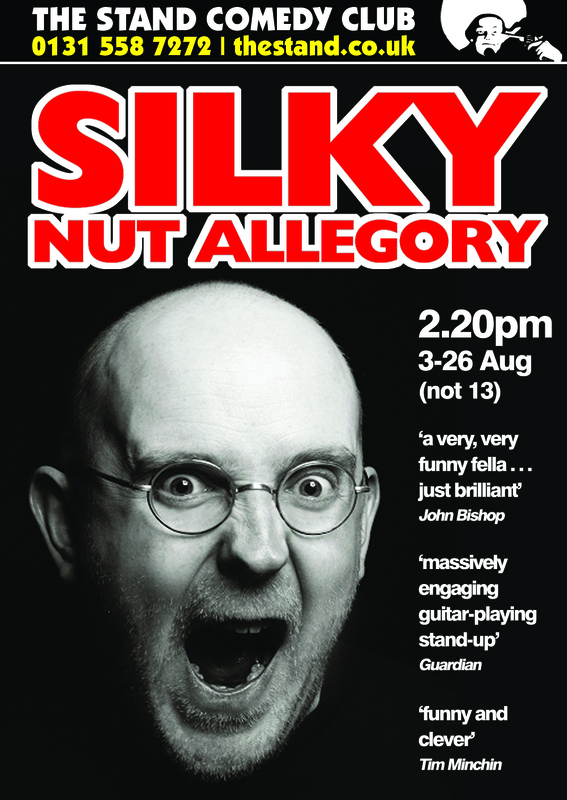 Liverpudlian-in-exile Paul ‘Silky’ White has been a full time comedian for half his life. He did his first gig impossibly far back in 1994, and his fourth gig was the final of the 1995 BBC New Comedy Awards alongside Lee Mack, Daniel Kitson and Julian Barratt. 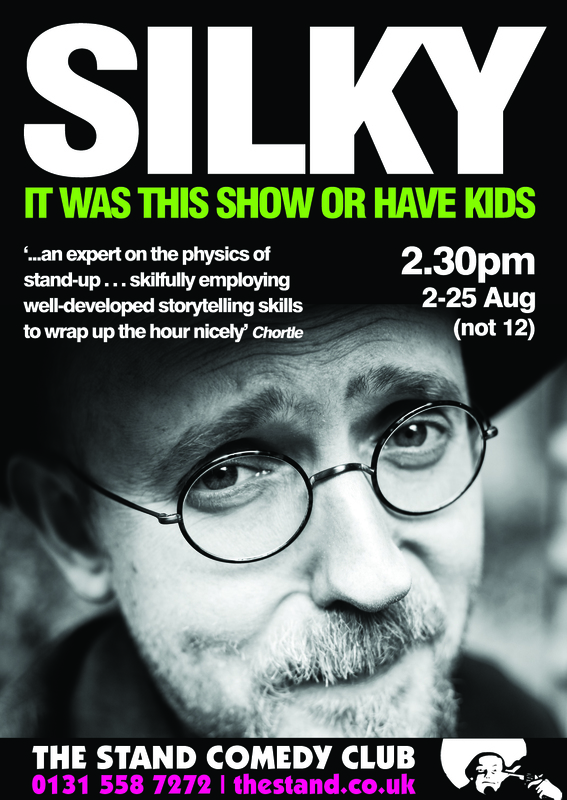 It was televised on BBC1’s Stand-Up Show, so no pressure. Other TV Work includes The World Stands Up (Paramount), the Comics Lounge (AUS) and being an extra in all sorts, from Emmerdale to Coronation Street. 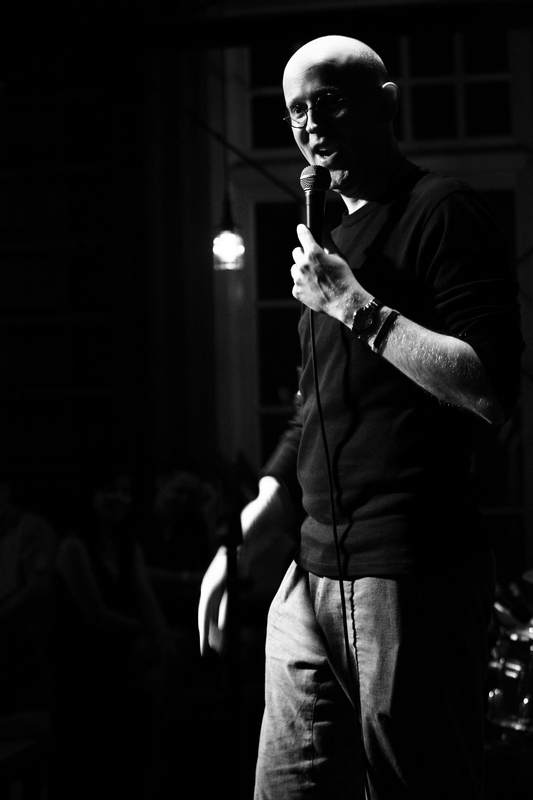 He is also the evil mastermind behind Kill for a Seat Comedy around the UK (“Silky runs lovely gigs all across the country” – Rhod Gilbert) and has performed with the Comedy Store’s MEN at Work satirical team, and the Grand Theft Impro, Dublin Comedy Improv and Monkey Lab Improv teams. Paul headlined the inaugural Frampton Mansell comedy festival, the world’s smallest. He acted in ‘All Shorts’ for Club West (winners of the coveted Spirit of the Fringe award), and presented WorldArt Media’s TV Stage in Princes Street Garden. He compered the Big Value Comedy Show Edinburgh Fringe (**** Edfringe.com), the final of the FHM Comedy Award and has played from Manila to Berlin, Belfast to Prague, Shanghai to Croydon, but he’s never been to me, and actually enjoys making people laugh. He also acted in a pilot for a SO TV children’s show that was bought for broadcast by Disney, and will never show the tape as Bee Costumes and spandex are involved. “In fairness, I ought to say that other spectators appeared to enjoy the show far more than I did” Nicholas Jones, Three Weeks, left before the end.